If you've been in a bike crash, you should make sure you get the identity of the driver who hit you and of anyone else that might have been a witness or involved party. Ask to see the driver’s licenses and vehicle registrations of the drivers of all motor vehicles involved in the accident. Write down their names, addresses and driver’s license numbers. Obtain the names of their auto insurance companies from their vehicle registrations. Look for witnesses to the accident, and ask them for their names, addresses and telephone numbers. If you are unable to gather the information above due to an injury, you can politely ask the officer to confirm that he or she will do so for you. As of May 2010, if you have been hit in the city of Boston and were taken to the emergency room, you should get a visit from investigating officers in the hospital. If Boston Police do not follow up with a hospital visit, please contact the Boston Cyclists Union. If the driver leaves the scene of the accident, try to get the license plate number, the color, make, model or other identifying information of the car and also any description of the driver. If you can write it down, do so – and quick, before you forget the specifics. Call the police immediately. A motorist who leaves the scene of an accident without stopping and identifying who they are has committed a crime for which he or she can go to jail. Also, if you have that license plate number you (or your lawyer) can find out who owns the car and their auto insurance company from the Registry of Motor Vehicles. If the police investigate, cooperate with them. Tell them what you saw. It’s true that some police officers have been known to have a bias against cyclists, so be careful how you speak to them. Be calm, polite and clear, and make sure that the police get your side of the story. Be prepared as well to identify yourself to others involved in the accident when they ask. Avoid getting angry with the driver that hit you, it will only make the process longer, and might work against you. Assess your injuries, but never say you’re okay. Before you let the driver leave, check yourself out. Note any obvious injuries, but if you think you are all right, do not say so. You may not notice injuries until much later, even days, especially for sprains or other injuries that are not visibly obvious. Even if you feel well enough to ride, you should consider not doing so if there has been any damage to the fork, the handlebars, or the headset bearings that let you turn the handlebars. Lightweight handlebars can snap suddenly if they have been bent, making them dangerous to ride on. Similarly, if your fork is bent or if your headset is damaged, your bike’s steering and balance might be dangerously out of line. If the front end of the bike looks okay, spin each wheel, and apply the brake to stop each one. If either wheel is significantly wobbly, or if the brakes do not apply smoothly, do not ride the bike. Don’t accept rides from the driver who hit you. The driver that hit you may act sorry and offer to drive you and your bike home or to the hospital or to where you are going. Politely refuse any such offer and say that you will wait for the police or the ambulance. The driver may lose any sense of remorse the next day, and if the driver changes his story and tells his or her insurance company that the accident was your fault, you may regret having accepted a ride. Do accept rides in the ambulance. Most important, if you’re injured or your bike is, don’t be a hero and try to get where you are going as if nothing happened. None of us want to be late or not get to where we were going, but an untreated injury can end up much more inconvenient than an unplanned ambulance ride to an emergency room. The driver’s no fault insurance will pay for the ambulance ride, the emergency room and any follow up medical treatment. If the driver was a hit and run driver, there is still available no fault insurance to cover the ambulance costs from the state uninsured pool. Once you are home, check yourself out again, then look over your bike again. If you are injured or your bike is damaged you should consider making a claim against the driver’s insurance for the damage. 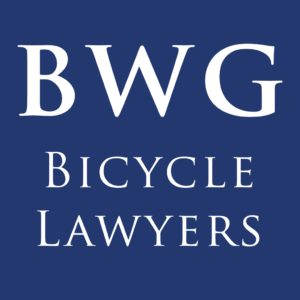 Boston Area Personal Injury Lawyers who actively support better biking. The attorneys at Breakstone, White & Gluck, P.C., have extensive experience handling personal injury claims and lawsuits on behalf of injured bicyclists. We are also committed to the bicycling community. We don't just help injured cyclists; we are devoted to the promotion of bicycle safety for children and bicycling advocacy for adults. Joshua Zisson is a daily cyclist, attorney, and advocate. He runs the only law practice in Boston that is focused entirely on bike cases. This focus allows him to dedicate more time and resources to advocating for the rights of injured and mistreated cyclists. A longtime supporter of the Boston Cyclists Union, Attorney Zisson donates a portion of his fee in every case to local bike advocacy groups. 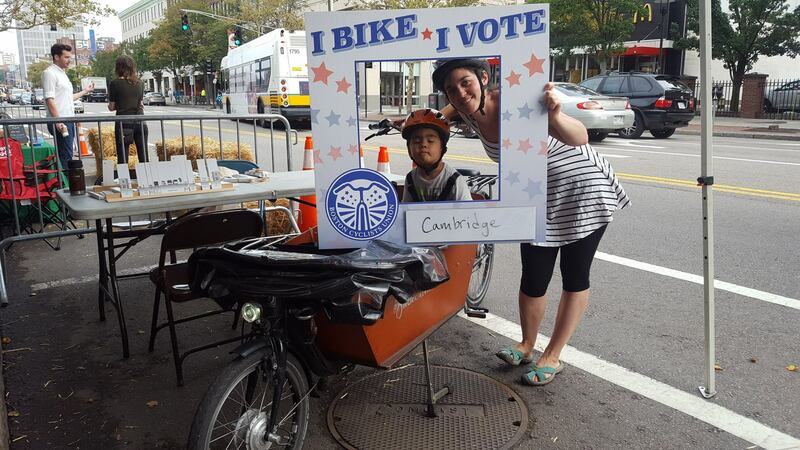 You can read his collected writing about bike safety and the law at Bike Safe Boston.